Been there? You have no idea how to make those pounding headaches go bye-bye. But there you are on the internet comparing symptoms, desperately trying to at least figure out what’s causing them. We all feel better (even though we really don’t) when we know what we have – and why it’s happening. Came upon a research piece from the journal Psychology & Neuroscience. “Early life stress, HPA axis, and depression” was presented by a team from the Universidade de São Paulo. The team get things started by pointing-out that adaptive physiological responses occur in our bodies in the midst of acute stress. One of these is increased adrenocorticol hormone secretion, primarily cortisol. These adaptive responses alter our internal homeostasis – “balance.” And when that happens illness is the likely result. Of particular interest to the team was psychological stress and the interactions with the nervous, endocrine, and immune systems. The team consider early life stress as assorted traumatic experiences that occur during childhood and adolescence, which may have repercussions in adulthood. Included are parental loss, separation from parents, childhood illness, family violence, physical/emotional/sexual abuse, and emotional and physical neglect. The team note that considerable evidence from assorted studies suggests early adverse experiences play a starring role in the development of mood and anxiety disorders. Child abuse and neglect can be perceived as agents for neurodevelopmental disruption and, depending on when it occurs, can cause serious neurological ‘scars’ in some structures, which could make some individuals vulnerable to certain types of psychopathology, especially depression, posttraumatic stress disorder (PTSD), and substance abuse. So the team submit that changes in homeostasis is a major illness trigger. Enter the HPA axis. 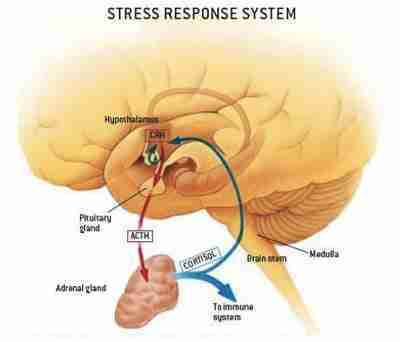 Seems the response of the HPA axis is a vivid reflection of an individual’s stress response. To the core, when the HPA axis is activated during the developmental process it becomes permanently unstable, hyperstimulated, vulnerable, or dysfunctional. And that equates to a compromised ability to respond to stress, which for our discussion opens the gates to depression. During depression, dysfunction of limbic structures, including the hypothalamus (the “H” in HPA axis) and hippocampus, results in hypersecretion of corticotropin-releasing factor (CRF) and other hormones, which determines HPA activation. Any kink in this system caused by, say, excessive stress, social isolation, or chronic irritability and anger causes difficulty in adapting to stress. And that can predispose an individual to depression by impairing the transmission of serotonin in the hippocampus. Fact is, hyperactivity of the HPA axis in major depression is one of the most consistent findings in psychiatry. 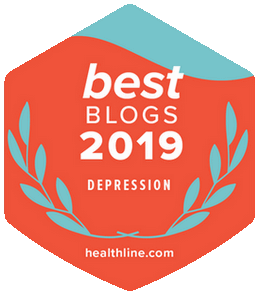 Yep, a significant percentage of patients with major depression have been shown to exhibit increased concentrations of cortisol in plasma, urine, etc. And, go figure, these patients typically show an enlargement of the pituitary and adrenal glands. 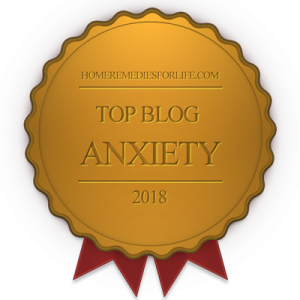 Okay, we reviewed what I believe to be a likely common cause of depression. And if you endured early life stress and find yourself wrestling with depression, you now have some connected dots. And even though there isn’t a 100% “fix,” there’s at least a large measure of comfort in knowing and understanding what’s going-on. Again, that was always huge for me. But we need to address one more reality. The dynamics we reviewed strongly suggest permanence. And as bitter a pill as that may be to swallow, acceptance (not acquiescence) of our circumstances is always the first step toward recovery. Never forget, permanence and acceptance don’t equate to the absence of options and relief. I crossed that insight threshold a long time ago and have been so much all the better for it. So a reasonable biological explanation for depression. Does it help? Be sure to read the full Psychology & Neuroscience article. Plenty of additional info and great references. Hey, there are hundreds more articles where this baby came from. Hit the Chipur titles.